The Toronto Paramedic Services wants everyone in Toronto to make the right call and is launching a public information campaign, “Make the right call”. Hundreds of people call Toronto’s 911 emergency services dispatch centre every day for an ambulance. Many callers are not aware they have other options for situations that are not medical emergencies. Calling 911 for an ambulance ensures a highly trained paramedic is sent to your location. When you call the paramedics, you will essentially receive a mobile emergency room at your door or the site of your door. This service may not always be the best choice for your medical problem. 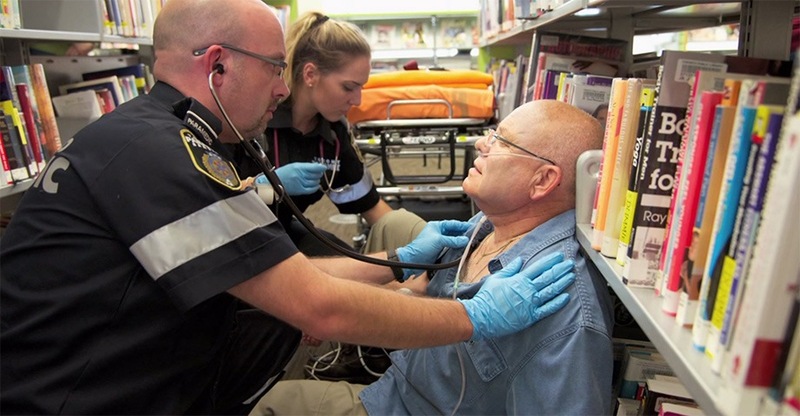 Residents should always call 911 for a paramedic when they or someone they know or encounter can’t breathe, is unconscious, has suffered a traumatic injury from a fall or a traffic accident, or is exhibiting the symptoms of a stroke, cardiac arrest or heart attack. Don’t wait: call 911 for emergencies. A highly trained emergency medical dispatcher can provide instructions until the paramedics arrive to assess and treat the patient’s symptoms and determine the appropriate course of action. Telehealth Ontario, 1-866-797-0000 is a free, confidential telephone service residents can call to get health advice or general health information from a registered nurse. If a resident is coming down with the flu, this may be a good option to get quick advice on how to manage the illness. A family physician is another good option, and if residents do not currently have a family physician, the Ministry of Health and Long-term Care helps residents find a doctor through the Ministry’s Health Care Connect Program. A walk-in clinic near a resident’s home can be found by simply keying in a postal code on this link. This can be a good option when a family member has a cut or sprain or other minor ailment, and would like it seen by a medical professional.